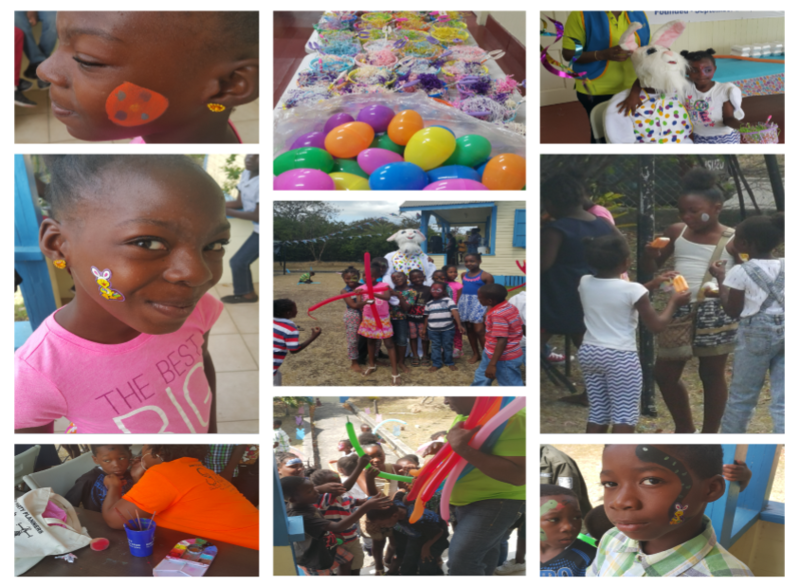 The first ever Rotary Easter Fair, brainchild of President Evangeline was held at Rotary House on April 8, 2017. 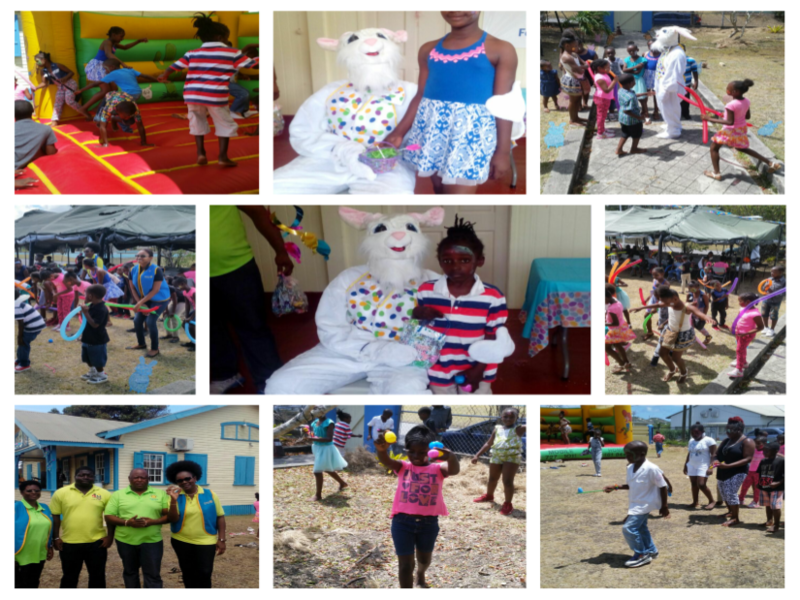 Easter celebrates the resurrection of Jesus and is a foundation of the Christian faith and the Rotary Club of Antigua was happy to bring Easter cheer to 150 children of the Grays/Green, Five Islands and Golden Grove Communities. The fair attracted 150 children from three Government Primary Schools, Five Islands Primary, Green Bay Primary and Golden Grove Primary. Attractions included games, bounce castles, face painting, Easter eggs. The Easter Bunny presented the Easter baskets and bags to the children . Highlight was the Easter Egg Hunt. Happy Easter from the Rotary Club of Antigua!